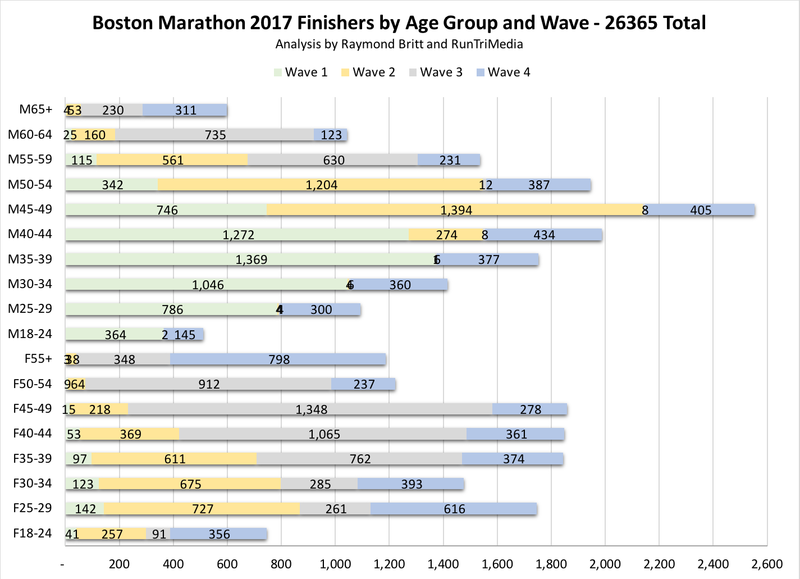 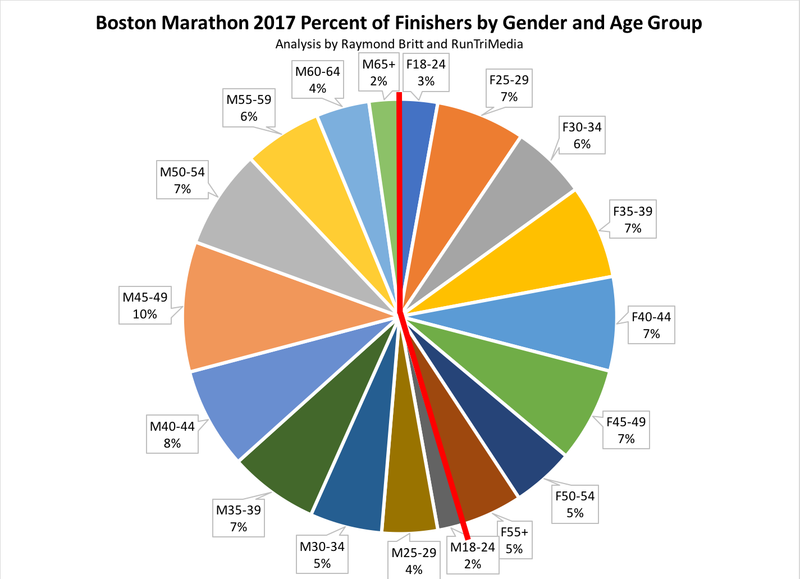 Our article Number of Boston Marathon Finishers by Year 2000 to 2017 shows a sharp increase in entrants over time, which that necessitated changes by the Boston Athletic Association. 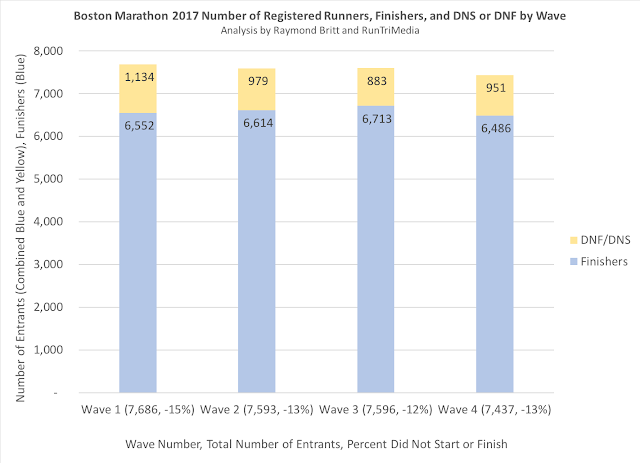 The main change was the start; too many runners to occupy narrow Main St. in Hopkinton at one time led the BAA to cap the race at 30,000+ entrants, split into four different starting waves of about 7,500+ entrants each. 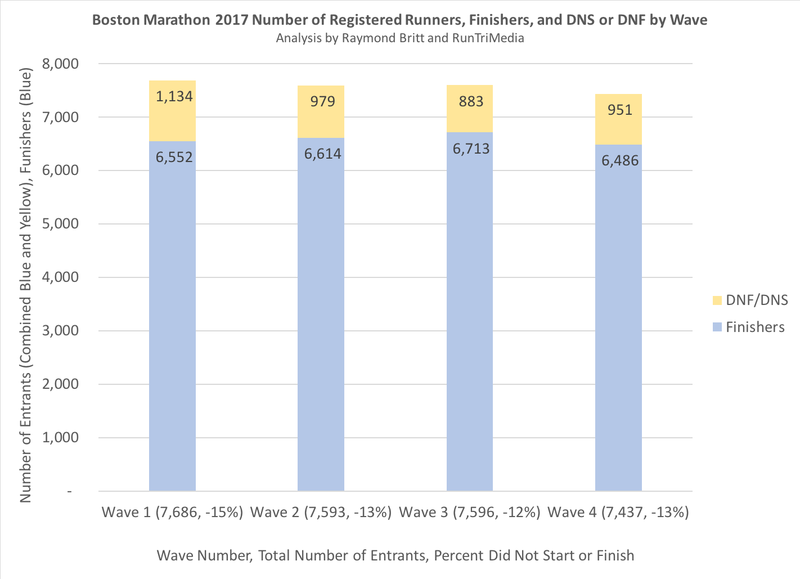 As bib numbers are assigned in qualifying order, the first three waves are made up of entrants who qualified for the race. Wave 4 is largely made up of non-qualifiers, entrants running for a charity. 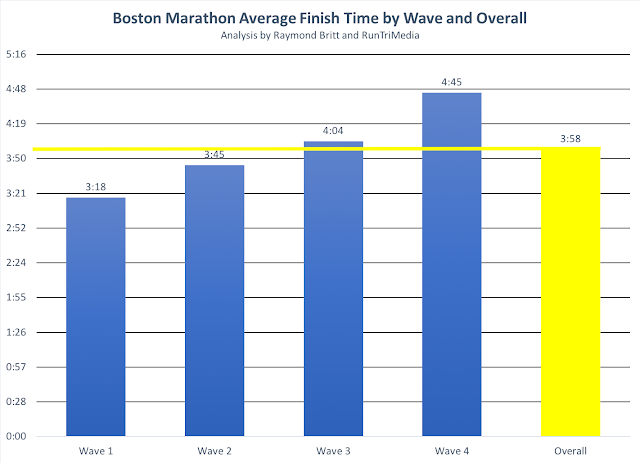 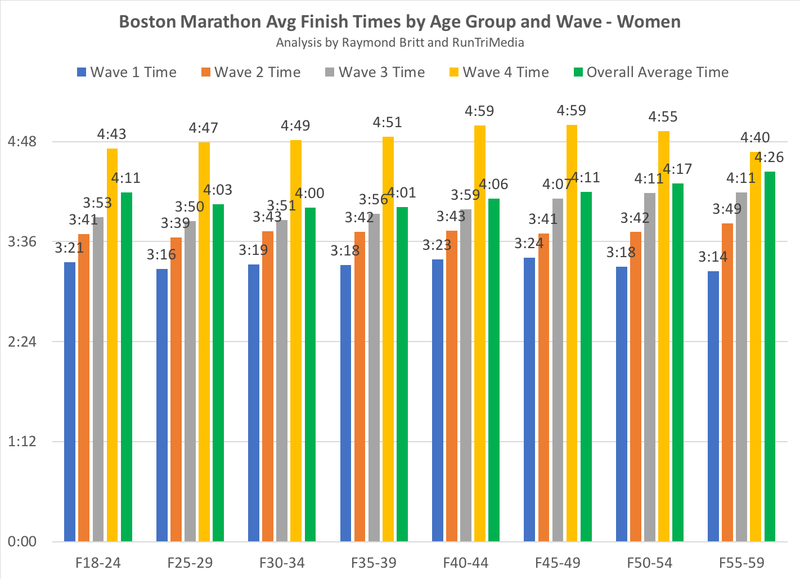 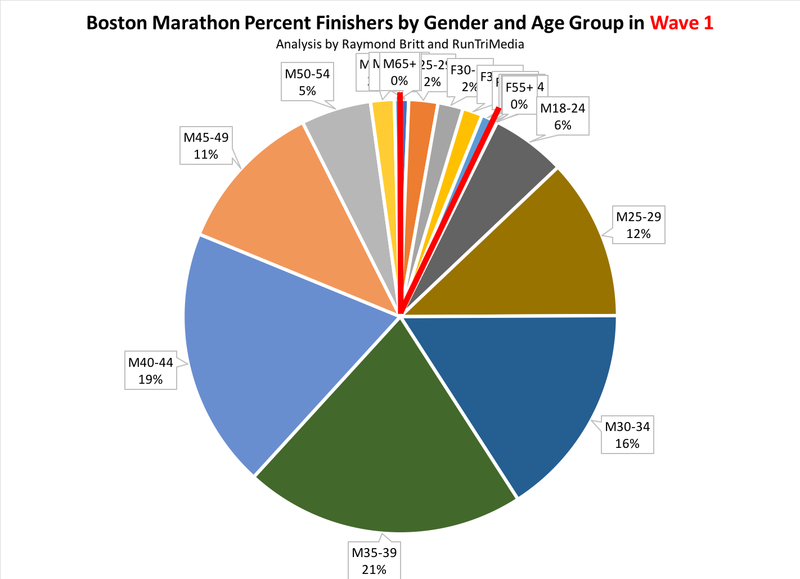 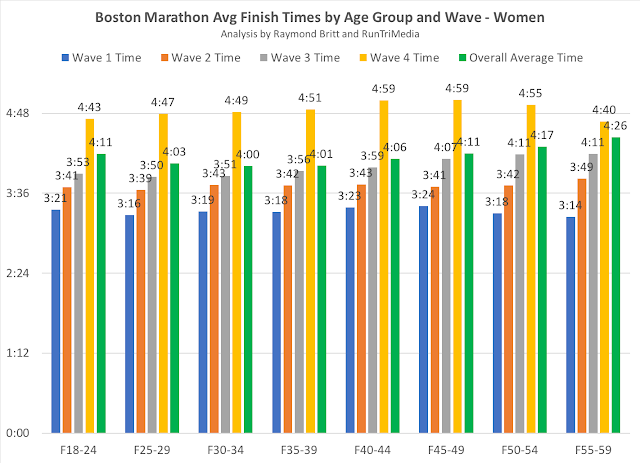 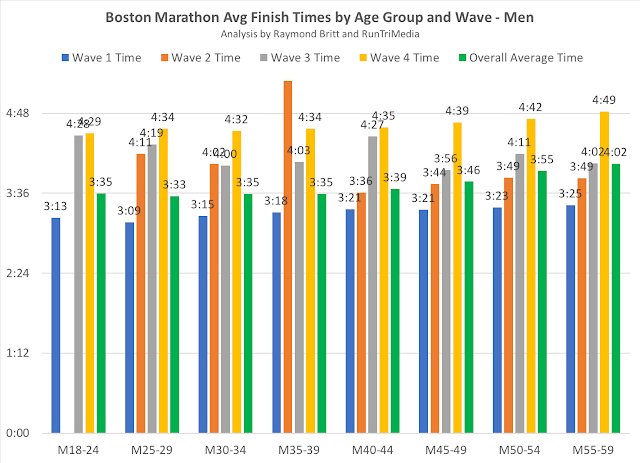 As a result, you'll notice some stats for Wave 4 are skewed, such as average finish time = 40 minutes slower than Wave 3. 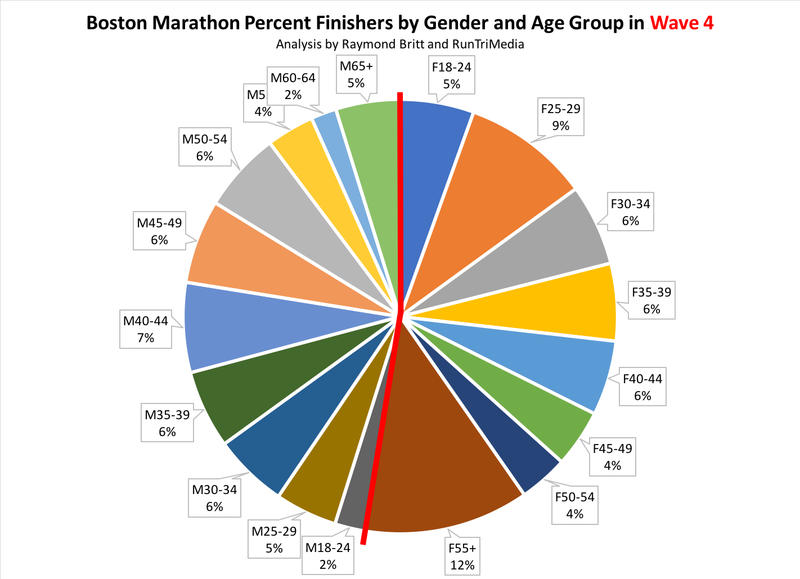 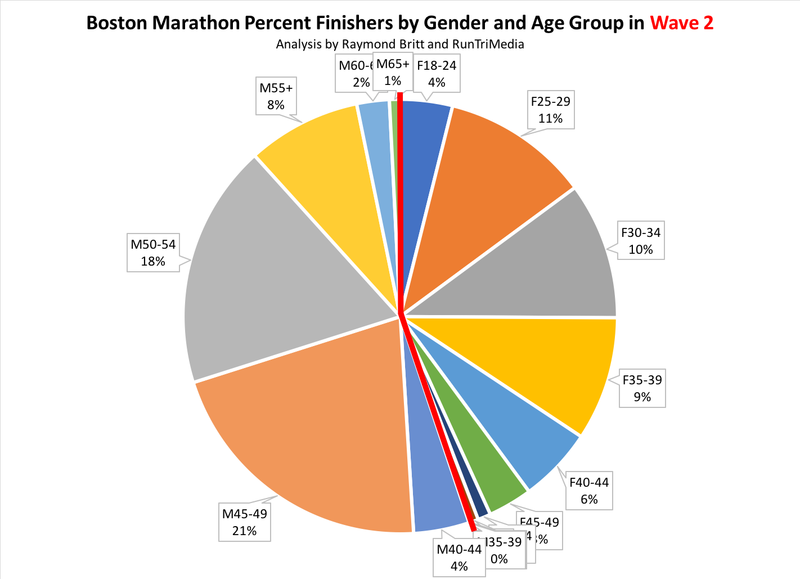 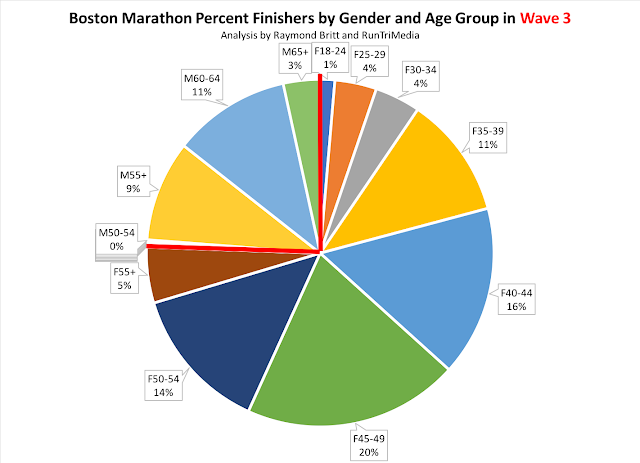 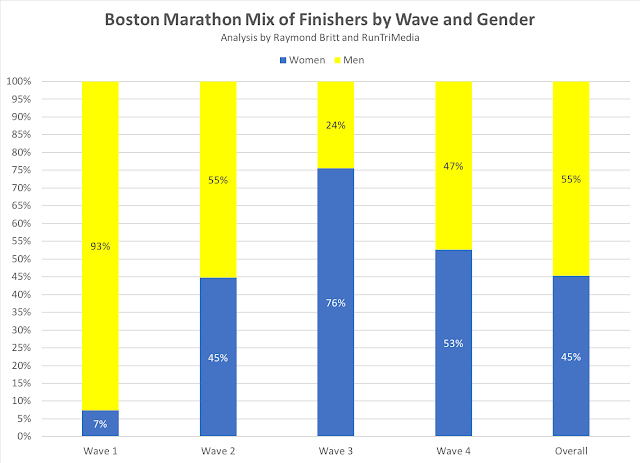 Here are charts with complete stats by Wave in 2017, average finish time, entrants, DNS/DNF, mix by gender, mix of age groups by entrant.